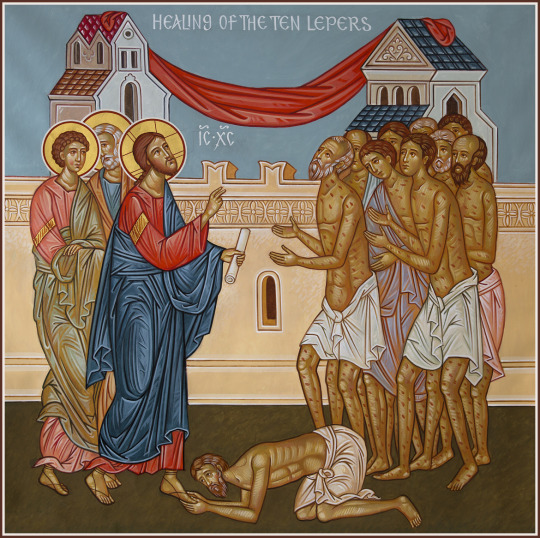 The first Reading and Gospel at Mass this weekend tell us about the gratitude of those who suffered from leprosy and were cured: especially the ten cured by Jesus. It is a reminder to us - by the words spoken by Our Lord - of the virtue of gratitude. Only one returned to give thanks to God. At times in life we can take things and people for granted. Often we take those around us for granted; those who provide for us, who show us love and support and keep us in good form. This little encounter of Jesus, and His words of rebuke to the ungrateful, are a reminder to us to be always thankful for what we receive and for what others do for us, especially those who are close by ties of family and friendship. This weekend we welcome to the Parish Mr William Johnstone; he represents, and makes an appeal on behalf of, The St Barnabas Society, a registeredcharity, operating in Great Britain and Ireland which exists to provide pastoral and financial help on behalf of the whole Catholic community to former clergy ministers and religious from other churches, who live in Great Britain and Ireland, and who have been led by faith and conscience to come into full communion with the Catholic Church. St Barnabas was chosen as its patron because it was he who befriended Paul after his dramatic conversion on the road to Damascus and encouraged him to begin a new life in the apostolic church with St Peter at its head. Those who have been ministers, clergy or religious of other churches lose not only their jobs but also often their homes. Many are not qualified, trained or experienced in any other work and find it very difficult to obtain another job. Thanks to the generosity of the Catholic community the St Barnabas Society is able to help these people with friendship, advice, and where necessary financial support. I am sure we will support this noble work with our customary practical charity. God bless you!